Neither version prepped me for the actuality of the Dead Sea—the region’s bare landscape was the very element lending beauty. And remote? Not hardly. It’s a mere 45 minute drive from Amman, Jordan’s capital, and surrounded by a handful of significant religious biblical and Islamic pilgrimage sites. 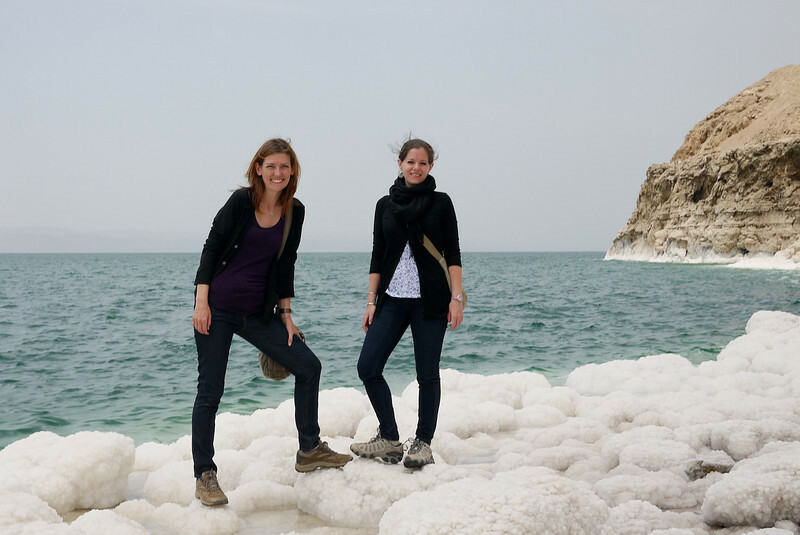 Playing on the salt rocks of the Dead Sea with my bestie Jodi, from Legal Nomads. Dead Sea Mud and Salty, Mineral-y Goodness! The Dead Sea is known for its mud . . . which seems like a strange claim to fame until you consider just what actually makes Dead Sea mud different from what you can dig up in your backyard. Your random bit of history for the day: The Dead Sea is the lowest spot on earth’s surface—the shores of Dead Sea sit 1,388 feet (423 meters) below sea level. 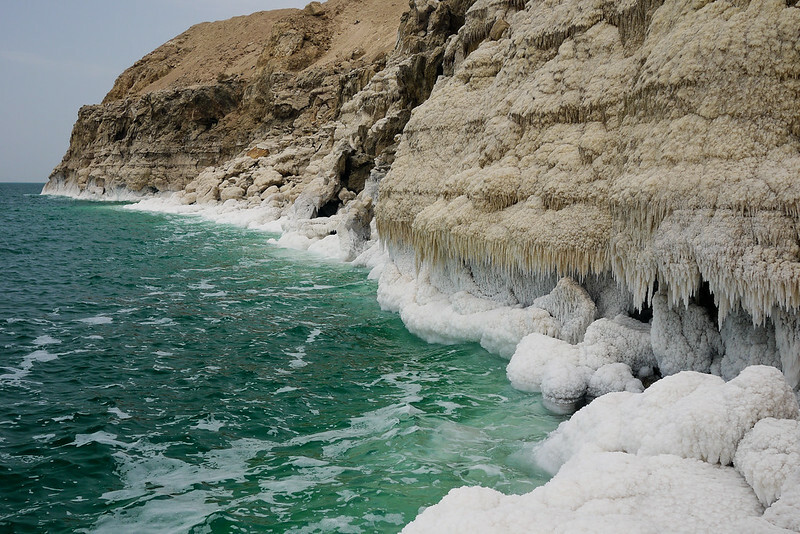 This level makes it possible for a number of other Dead Sea wonders—the sea’s waters maintain nearly 34% salinity and the River Jordan dead-ends into Dead Sea, with river water evaporating and leaving behind vast beds of salt and minerals. Then consider the UVB rays; the barometric pressure and high oxygen levels on the sea’s shores dilute the sun’s harmful rays more than any other place on earth . . . for the fair-skinned (me!). that means we don’t burn as quickly when sunning on the shores of the Dead Sea! 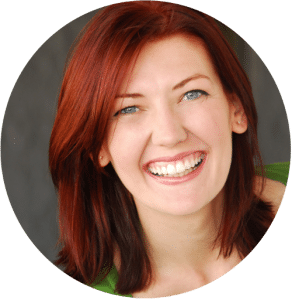 The Shodi Show (Shannon and Jodi?!) coated in Dead Sea mud and baking in the late afternoon sun. 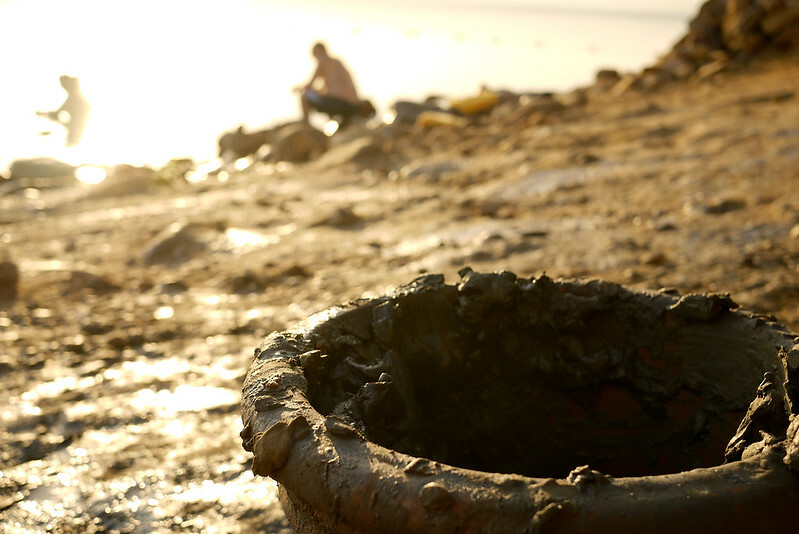 Clay pots filled with mineral-rich Dead Sea mud line the shores in touristy areas. Dead Sea visitors lather on the mud before entering the water. 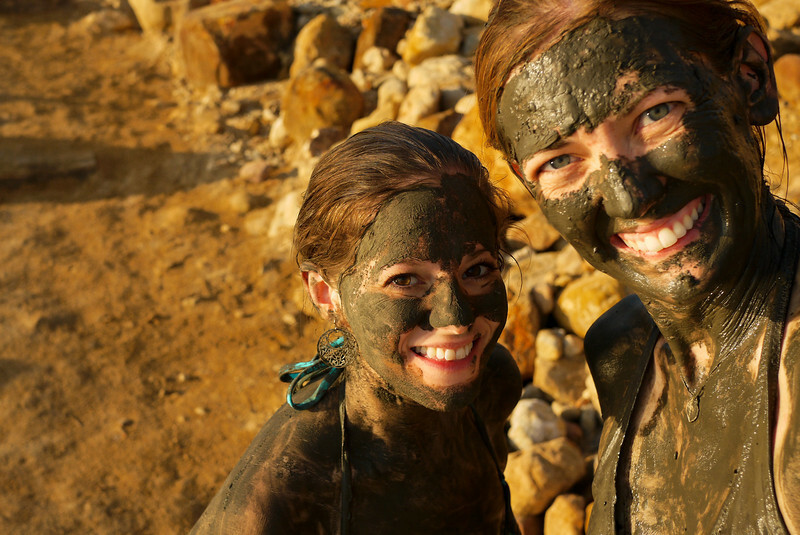 Travelers come from all over the world to slather themselves in the dark brown Dead Sea mud, bake the mud into their skin in the warm, dry sunlight, and then soak it off in the mineral-rich salt waters. I couldn’t really opt out of this experience, right?! After reading up on the Dead Sea I gave myself a challenge—try to sink, try to force my body below the surface of the water. The high salt content means I was forced to instead content myself with a gentle bob on the water’s surface while the setting sun lowered itself behind the mountains near Israel, turning the glossy surface of the water into a near perfect mirror of the sky’s riot of saffron and rose-tinted clouds. The Dead Sea is well positioned in Jordan to see a number of incredible sites of religious and historic significance. The Dead Sea forms part of the border with Israel, and this area is one of the key Cradles of Civilization on the planet, giving birth to an enormous amount of the human races’ shared history. 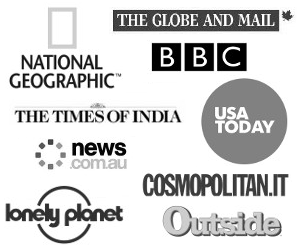 You can visit most of the nearby sites in a single day if you have your own car, or spread it among two days if you’re using public transport. The sun was still rising high in the sky the morning we ventured a short 15 minute ride from the Dead Sea to Bethany Beyond the Jordan, the site where John the Baptist baptized Christ. This site is a fairly recent archeological discovery and is still in excavation—archeologists are actively digging up more historical ruins nearby. 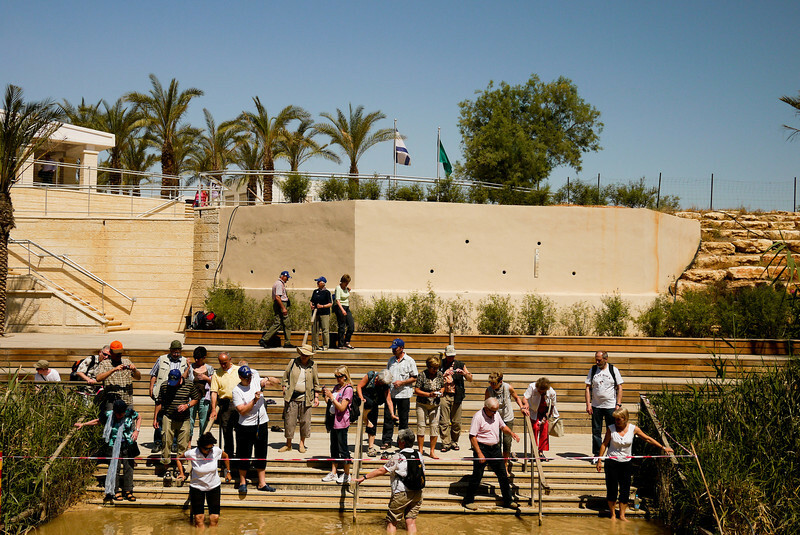 One of the neatest parts of the experience is standing on the banks of the Jordan River and peering at the pilgrims standing just across the river in Israel, a mere four or five arm lengths away. Jordan and Israel share this pilgrimage site and we were close enough to sit in the shade in Jordan and watch as pilgrims in Israel blessed themselves with the river’s water. From Jordan and looking at Israel’s side of the Jordan River at Bethany Beyond the Jordan. Greek Orthodox Church of St John the Baptist at Bethany Beyond the Jordan, near The Dead Sea. 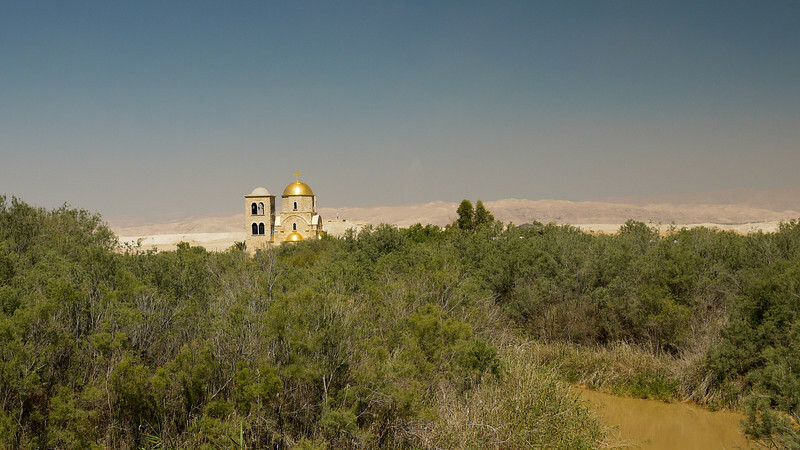 From Bethany Beyond the Jordan, it’s a fairly short drive to Madaba and the top of Mount Nebo—another religious site and also a spot providing panoramic views of the Holy Land. 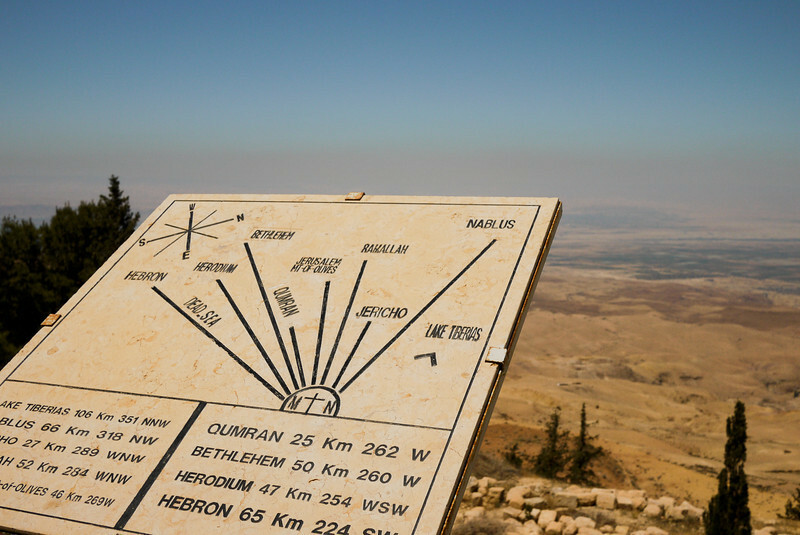 From the lookout spot, a map offers pinpoints of major historic sites in the surrounding region: the Dead Sea, Israel, Jericho, and Jerusalem (on a clear day). 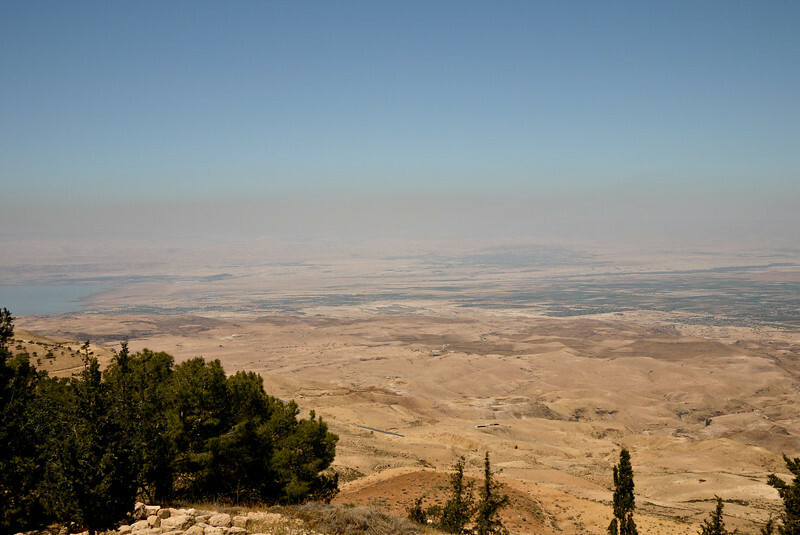 Several of the world’s major religions played out their beginnings on the land visible from Mount Nebo, both biblical-based religions and Islam trace roots to this area. This is a highly recommended thing to do when you’re near the Dead Sea. I geeked out on spending my morning hours learning the history and biblical stories that make this region globally significant; I’m not a pilgrim by any means, but history is fascinating and I believe all knowledge is worth having! Where Moses looked over the Promised Land from Mount Nebo: Jericho, Jerusalem, and the Jordan River Valley. The Dead Sea and the Holy Land from Mount Nebo in Jordan. Where: A 45 minute drive from Amman. There are many gorgeous five-star high-end resorts and spas in the area perfect for a weekend of relaxation (the Mövenpick is a gorgeous option and they comped my stay to try it out, and it was plush because they have private beaches and lots of amenities to enjoy the sea). 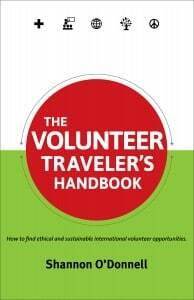 Budget travelers, however, fear not! About two kilometers from the resort is the Amman Touristic Beach—decked out with pools, Dead Sea mud, and dressing rooms. The religious sites mentioned are all within a 20 minute drive of the Dead Sea, so you can stay anywhere nearby and still access the beauty and history. When: The Dead Sea is ideal really most of the year, though Jordan’s best weather in general (and tourist high season) is during late fall and late spring. Weekends are quite hectic in the public areas especially! How: Day-tripable from Amman, you can opt for a taxi between 20-35 JD (your hotel will be on the upper end, the lower end is if you find one yourself), or a JETT tourist service bus leaves from 7th Circle bus station directly to the Beach (7 JD). The public bus leaving from Mujaharin will only save you a couple JD all told because you will have to cab from where it drops you to the beach, so it’s best to take the tourist one. Jordan is small, so consider renting a car to better explore! Stay Safe: Jordan has significantly different vibes than other places in the region and you can absolutely travel here. At the Dead Sea, the main concern is that you’re off the public beaches by dark. This is good advice for most anywhere in the world, but particularly true here if you’re not a resort beach. Also consider travel insurance in case you need it on your trip: I used World Nomads for this trip and highly recommend it. I think you can absolutely do that trip safely. You may not want to be completely independent for all of it—you can perhaps hire a transport company or driver for the trip from Amman to the Dead Sea, and the resorts and places along the shore felt quite safe on every level. Congrats! The post and the shots are amazing! Did you remember the location where you took that photo standing up on the salt structures? Hmm, I don’t know for sure. We left the resort area and had the Dead Sea on our right, and it was about 25 minutes along the way. Sorry, wish that I could be more helpful! Truly beautiful sunset image. The very first image is really beautiful as well. The salt structures are just amazing. The photos of the salt crystals look amazing. I always find it amusing trying to sink in a highly salted water. I used to do it in Greece as well. No where near as saline as the dead sea though. I’m in love the picture with you with mud on your face! Super cute! well! :) Enjoy Europe this summer! you have a shot doing the superwoman pose coated in mud?! Looks like such a great day! 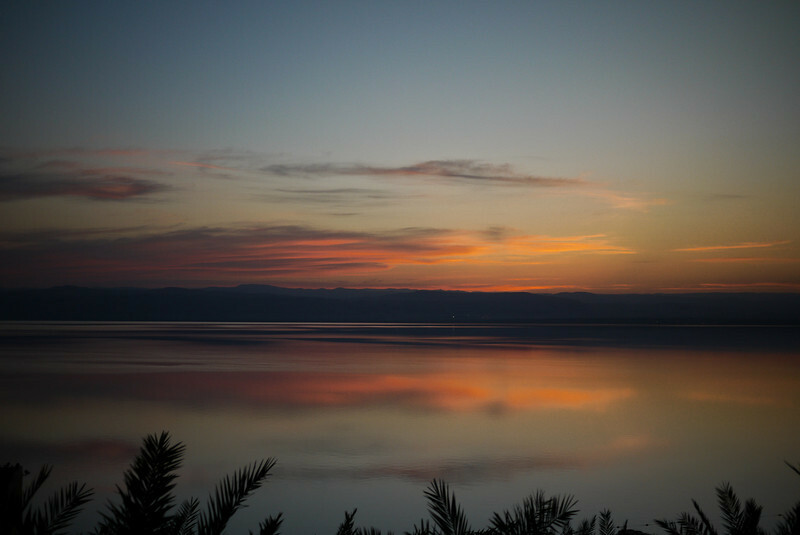 Awesome photos–the Dead Sea is even higher on my must-see list now! This is so high up on my list of places to experience already, and you may have just bumped it higher. I love the picture with the salt and mineral deposits. I didn’t realize that happened. I think I would skip the mud though. I’ve always HATED being dirty, even as a small child. Thanks for stopping in Robert! There are huge beds of the salt deposits – really wherever the uber salty water hits rocks instead of sand…by far one of the prettiest features of the Dead Sea is where the white salt rocks meet the turquoise water!